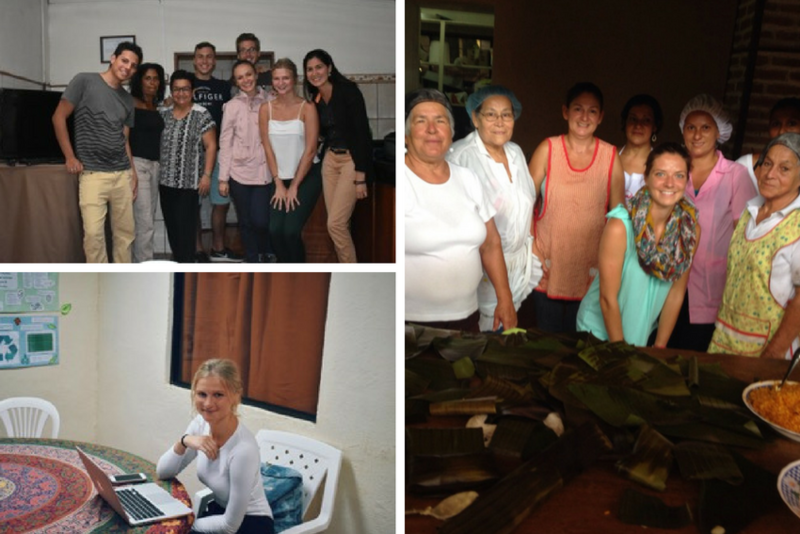 Kelsie Gronauer joined our Microfinance & Women’s Empowerment internship in Costa Rica, for a duration of 6 weeks. Learn more about how Kelsie juggled two internship placements, adapted to life in Costa Rica, and offers awesome advice to future interns who are passionate about working within this field and making a difference. Tell us about your role as an intern in Costa Rica! My first week on the Costa Rica Microfinance & Women’s Empowerment internship was a whirlwind but I wouldn’t change anything about it! I feel as though I broadened my knowledge and cultural competency immensely over the course of the first week. By the second week of my internship, I felt more settled, which allowed me to feel more confident as I tackled the tasks assigned to me through my internship program. As an intern, I actually assisted at two different organizations related to Microfinance & Women’s Empowerment and split my time equally between the two. They were both very similar organizations, sharing a common mission of helping and empowering vulnerable women within the community. One big difference between the two is that one had over thirty years of experience, while the other is currently less than five years old. At one of the internship placements, I assumed many responsibilities and administrative roles, such as filing, organizing, and transferring hand-written psychological assessments to an online database. I also assisted with a variety of group therapy classes. Finally, I created and taught an English class for a community of women. At my other placement, I was able to perform many tasks under the business umbrella including: public relations, fundraising, marketing, social media management, and event planning. My time interning on this Microfinance & Women’s Empowerment program empowered me to be successful in my future career. I believe that I am now a well-rounded employee, capable of communicating within a bilingual context. After working in such a variety of areas and with a diverse group of people, I am absolutely capable of accomplishing any task sent and adapting to any environment in the future. What were some highlights of your internship in Costa Rica? Choosing a favorite memory from my time in Costa Rica is almost impossible. There were so many small moments and memories that contributed to this life-changing experience. Working with the women at my internship placements will definitely affect me for a very long time. I came to learn more about the women and to understand their circumstances; I heard their stories and saw them in their most vulnerable state. Therefore, I feel like we became instant friends. I would often see them on the street or at the market and share a smile or even a hug and short conversation with them. What did your Microfinance & Women’s Empowerment internship teach you? I have learned so much through my schooling; however, the real-world experience offered through my internship has taught me more than I can imagine and has given me the confidence to tackle any task in the future. I will enter the professional world carrying the plethora of knowledge, wisdom, and experience that I have gained through my internship with me. I will also maintain my passion for helping others and making a change in the world. What was it like staying with a host family in Costa Rica? Although I was initially nervous about being placed in a host family, I now feel so grateful for the opportunity. There is no more authentic manner in which I could learn the culture and lifestyle of another people living in another country. My first week on the internship enabled me to develop a high level of respect for the Costa Rican people and their way of life, while also causing me to grow in appreciation of the differences that remain between the lifestyle that I lead in the United States and that of the Costa Rican people. Primarily, I adore the fact that Costa Ricans are extremely family-oriented. A day did not pass in which there was not at least two extended-family members at the house of my host family. Their loving and welcoming nature truly touched my heart and will surely be one of the aspects that I will miss most about this wonderful place. What else can you tell us about your experience of life in Costa Rica? In Costa Rica, I always felt like success was a collective idea. Everyone always offered to pitch in and help and I didn’t get the sense that anyone was trying to “get ahead” of others. I found that I appreciated this way of life. Also, life in Costa Rica is more causal and laid back than what I am accustomed to in the United States. Punctuality is not something that is greatly prioritized here. For example, I had set up multiple business meetings that didn’t begin until forty-five minutes after the scheduled start time and I was often left waiting for contacts to arrive. At first, I felt irritated and felt that it demonstrated a lack of respect. However, I quickly adapted to the culture and did not take it personally! Although I still find it important for myself to be punctual, I do not place the same expectations on others. To become more culturally competent and flexible, I begun spacing out my appointments and I brought other tasks to work on while I was waiting. This adaptable and proactive approach ensured that all of my time as an intern was being used efficiently. What advice would you give to others who’d like to intern abroad? The biggest piece of advice I would give to someone who is planning to intern in a culturally diverse setting is to be flexible. Interning abroad is not for those who are rigid in their ways. Sometimes there is absolutely no way to know what to expect. It is important that interns are flexible, capable of quickly adapting, and willing to “go with the flow”. While other cultural norms may be foreign to international interns, it is important to accept them and respect them. In addition to accepting new norms, it is also crucial to not place your own traditions on others. Unrealistic expectations can be a very large source of disappointment and they can pre-vent an intern from working efficiently and effectively. Cultural competency, in my opinion, is one of the most admirable and respectable traits that a person or employee can demonstrate. Internships in Costa Rica are available year-round and are offered in conjunction with Intern Abroad HQ’s experiential learning curriculum, which is focused on resume building, personal and professional development. You can learn more through our Costa Rica internships through our Q & A blog. Looking for something a little different? Explore diverse internships related to Marketing & Communications, NGO Support and more!